This week's guest, Siobhan Huggins, is a stellar citizen scientist who has a passion for dissecting complex topics, and understanding how misbeliefs lead us astray. She has a remarkable gift of analyzing complex topics and reframing them from a systems and engineering point of view. Plus, her own personal journey through the low-carb keto lifestyle prompted her deeper dive into lipids, inflammation, insulin resistance and more. She understands that cholesterol is not inherently evil. Rather, it actually serves a purpose to help us. It's our lifestyle that alters it into something potentially harmful. 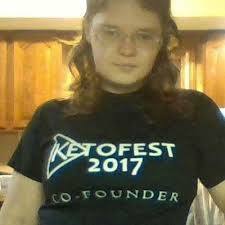 Most exciting of all, she has recently joined forces full-time with Dave Feldman at CholesterolCode.com, so we will be hearing much more exciting research and perspective shifts from Siobhan in the near future. [6:03] A keto diet has given Chivon improved health and changed her personality. [12:07] Understanding inflammation and the chronic oxidation of LDL. [17:07] Scavenger receptors and small, dense LDL. [28:42] The human body wasn't designed to take on a constant barrage of insulin damage. [35:32] What causes vascular calcification? [43:32] The differentiator in familial hypercholesterolemia is the level of insulin resistance. [47:13] Lipoprotein(a): What is it used for?